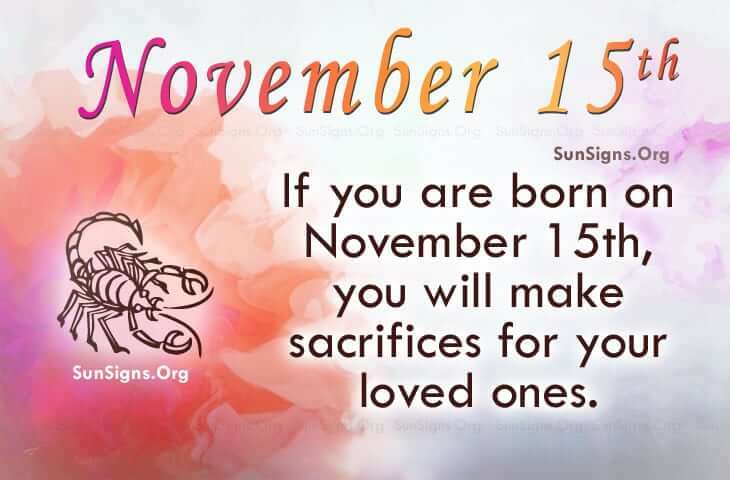 Famous people born on NOVEMBER 15 find themselves thinking about success a lot. As a Scorpio, they would rather set small goals and achieve them rather than goals that are unattainable or almost impossible to reach. As they do this, they find it easier to pass along the knowledge they have gained through your experiences. Nonetheless, they can handle most situations that come their way. However, what started out as being simple could turn out to be a mess sometimes. This could be due to their friends’ involvement in some of their ventures. Normally, famous November 15 celebrities don’t like to be around people who are confrontational. They prefer a more constructive environment but they stand up for themselves. When this Scorpio is upset, they may not want to fuse the fire as it could be a bad situation for the other person. Otherwise, the famous Scorpio born on November 15 is truly a likeable and devoted friend. As far a relationships, they may have to filter through all of the bad apples before deciding on one good apple and this could effect their business relationships as well. Famous people born on NOVEMBER 15th, when it comes to people are caring about their needs. Often times, they will make sacrifices for their loved ones. In love, they do not do so good but instinctively seek the ideal person. They may want to look at the friends who surround them.